Recruiting Update: Neal Pulling A Double Knott? 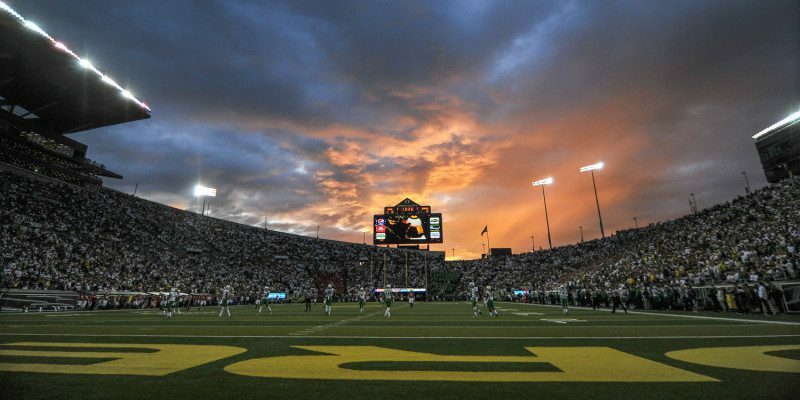 With spring practice in full swing, the attention of the the Oregon brass has shifted to seemingly tedious day-to-day balancing of on-field re-tooling and stockpiling for the the future. High school preps are beginning their own pre-summer practices, seeing several elite camps produce early-cycle headlines. Deep in the South, longtime Oregon-connected defensive back Nigel Knott (4-Star/Madison, MS/Rivals250) punched his ticket to Nike’s The Opening with a lock-down performance at the New Orleans NFTC spring camp. In addition to his printed invite, he received another piece of card stock. “Oregon has a process, they have a way they do things and I understand that. I’m thankful for (this) offer and I just want to keep getting to know the coaches better,” said Knott. Not only a big offer for Knott, but for his father as well, as he was a former player under defensive backs coach John Neal. A 6-foot-0, 170 lb. speedster with unbelievable quickness off-the-ball, Knott hallmarks the Oregon Way with a combination of cerebral coverage and raw play-making ability. To view Knott highlights, please click here.